This week Colin Harvey the Narrative Designer for the new Sniper Elite 4 game but will soon be launching on PlayStation 4, PC and Xbox One on February 14th, 2017. 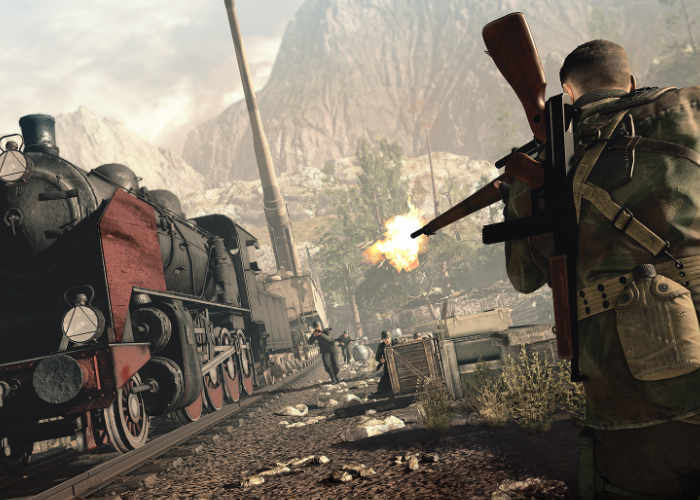 As revealed more details about what you can expect from the Sniper Elite 4 Italian Campaign. Check out the Italy 1943 story trailer below to see a glimpse of what you can expect and why it played such an important role in World War II. Harvey explains more about the games locations and storyline. It’s been a pleasure working on this game. We have a great team, a unique series, and loyal fans to boot. But for me it’s the setting that’s closest to my heart. Today we’ve released the first in a series of special SOE Intel briefings, showing why Italy in 1943 is such an interesting theatre in World War II. The Italian campaign offers myriad tales of heroism, sacrifice, subterfuge and intrigue to draw upon, with multiple factions fighting to survive in a country under Fascist rule. If you’re after more details on what to expect from covert agent Karl Fairburne’s foray into the Mediterranean, give the video a watch. It’s 1943. Franklin D. Roosevelt and Winston Churchill meet in Casablanca to discuss the Allies’ next step. The Americans favor pushing across the Channel, through France, to attack Germany’s industrial areas. By contrast, Churchill argues an invasion of Italy will allow the Allies to attack the Nazis’ “soft underbelly” and take the pressure off the Red Army in the East. Churchill’s view prevails. This is where Sniper Elite 4 begins. Ahead of the planned invasion of Italy, the Allies have intelligence concerning Hitler’s latest wunderwaffe (wonder weapon) and dispatch Lieutenant Karl Fairburne to a secluded Italian island to investigate. Subsequent assignments take him from a beautiful coastal village on the Italian mainland to a vast, verdant forest region surrounding a viaduct. And of course, we’ve designed the game so you can take advantage of the spectacular scenery. Choose to climb up high for the perfect vantage point from which to snipe your adversaries, or look for a secret tunnel to enable your surprise attack, whatever it takes to complete your mission. For more details of what you can expect from the new Sniper Elite 4 Italian Campaign jump over to the official PlayStation blog via the link below.